Písek is a medium-sized town on the Otava river in the South Bohemian Region, about 44 km (27 mi) northwest of České Budějovice. The town is most famous for the Stone Bridge over the Otava river. 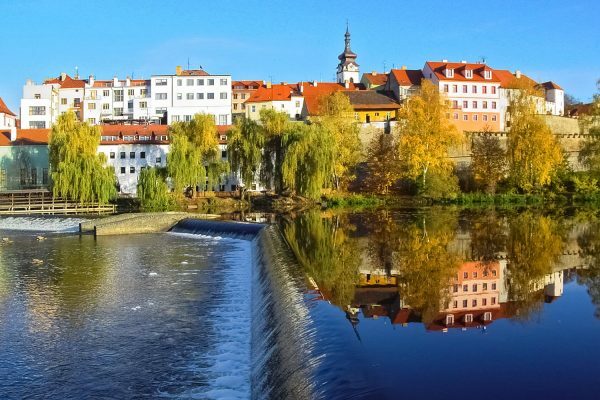 It is the oldest surviving bridge in the whole of Czechia and one of the oldest in Central Europe. As you can see in the picture above, Písek skyline is very picturesque, for a town of its size. There are several train stations and a relatively large bus station in the town. The main train station is named simply Písek and it has direct connections with the main station in Prague. The train journey from Praha hl.n. to Písek takes a little more than two hours. Buses are a little faster. A journey by bus no. 133109 from Praha-Smíchov Na Knížecí should take about 1 hour 20 minutes. This means that the town can be an interesting destination for a day trip, if you are based in Prague. It is much closer from České Budějovice and a train/bus trip from that beautiful city to Písek should take a little less than an hour. The Stone Bridge (Kamenný most) from the second half of the 13th century is the most important landmark in the town. It is the oldest bridge in Czechia which has survived until today. It is therefore older than the world famous Charles Bridge in Prague. Unofficially, it is also called Jelení most (Deer Bridge). According to a legend, the bridge was supposed to be named after the first being to cross it. Since there was a forest around, a deer happened to cross the bridge as first. And thus, the bridge was named after its first user. Many people in the town, however, called it simply “the old bridge”. In 2007, it was decided that the official name would be “the Stone Bridge in Písek (Kamenný most v Písku). The bridge itself was built in the Gothic style, but there are replicas of Baroque statues on it. The Stone Bridge in Písek bears therefore a certain resemblance to Charles Bridge. Obviously, it is much shorter than the famous bridge from Prague: 109.75 m (360 ft) vs. 621 m (2,037 ft). Charles Bridge is also nearly 4 m (13 ft) wider. 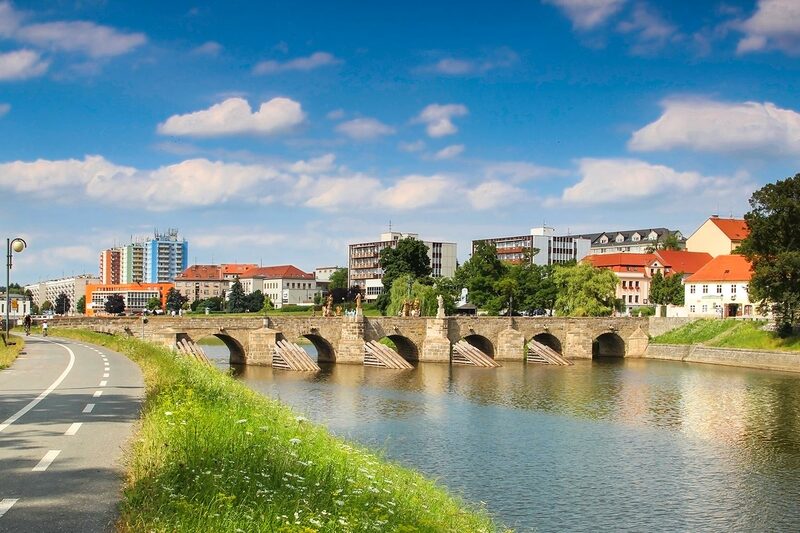 But the bridge from Písek is roughly one century older than its more famous cousin. Písek Castle (hrad Písek) was built by king Ottokar II of Bohemia in the 13th century. Nowadays, it houses the Prácheň Museum. The Prácheň Region (or Prácheňsko in Czech) is the name of the region around Písek. The museum presents extensive collections of artefacts related to the history of this region and its nature. The museum’s website has also an English-language version. The Church of the Nativity of the Blessed Virgin Mary (kostel Narození Panny Marie) is a Roman Catholic basilica located in the centre of the town. It is the tallest structure in the town and its tower is a dominant feature of the beautiful Písek skyline. The Hydroelectric Power Plant in Písek (Městská elektrárna) is the oldest working hydroelectric power plant in Czechia. It was built in 1887 to supply the town’s street lamps with electricity. The building of the power plant houses also a museum presenting the history of street lighting in the town. As you can see, harnessing renewable energy sources is nothing new. The town of Písek was doing it already in the 19th century. Some other places have caught up in the 21st century, others have not caught up yet. The impressive building of the former Malt House (Sladovna) was reconstructed in 2007. It serves as a cultural centre and hosts exhibitions and cultural events. They even have an English-language version of their website. The historic core of the town has been declared a protected cultural monument by the Czech state. It features a beautiful Baroque town hall from the 18th century, several old churches and picturesque townhouses belonging to various styles. Promote Czechia, Share This Page with Your Friends! 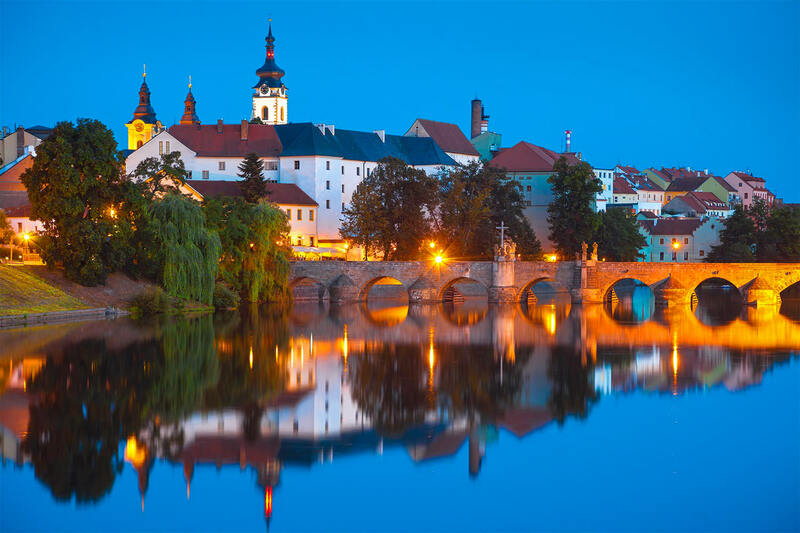 AMAZING CZECHIA presents the most interesting places in one of the most beautiful and picturesque countries in Europe and worldwide. This country in Central Europe has an excellent reputation among travellers and it is no wonder that every year millions of tourists from all over the world come to see it with their own eyes. Our website shows the beauty of Bohemia, Moravia and Czech Silesia to English speakers. If you are a business owner and have an interesting offer for tourists, please send us a message!